Throughout the summer I will be featuring hiking trails in the Roxborough area. I encourage you all to give them a try and share photos, videos and any comments you have in regards to your experience. 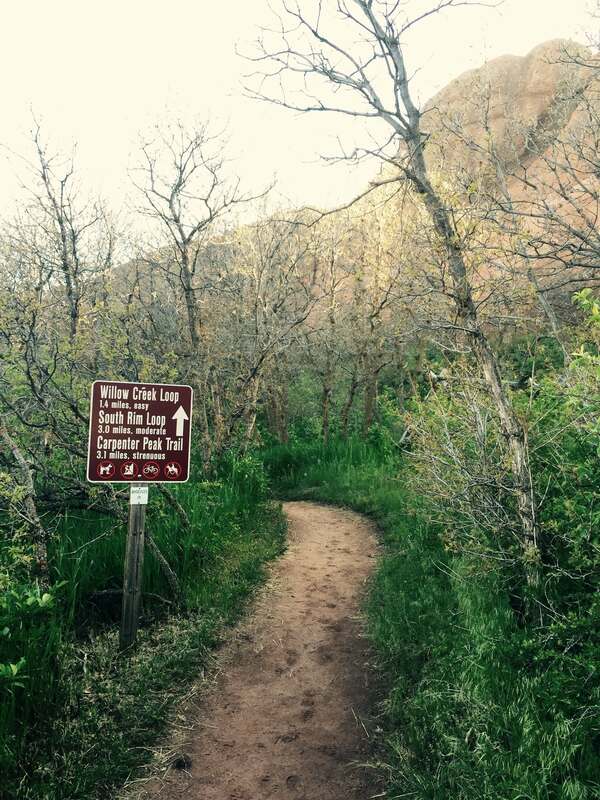 The first hike of the 2015 summer season is the Willow Creek Trail located in Roxborough State Park. Roxborough State Park features the spectacular red rocks we have all come to love and enjoy. Although the park is closed to pets, horses and bicyclists, visitors are able to hike the well marked trails and take in the beauty of the natural surroundings. Visitors will most certainly be able to experience the park’s mixture of prairie and mountain animals so make sure to bring a camera and/or binoculars along. Before you leave the Visitor’s Center parking lot, make sure to use the restroom facilities and fill up water bottles if necessary as these are the only facilities in the park. Directly across the Visitor’s Center is the trailhead for several hikes including the Willow Creek Trail. This trail is a wonderful 1.4 mile loop around scrub oak and wild flowers. You’ll get glimpses of the spectacular red rocks as you weave your way along the well maintained sand/dirt trails. Well marked signs will help you stay on the trail that is intended. As you make your way along the trail, take your time as there are many types of wildflowers to be seen. You’ll also notice informational placards helping hikers identify plants and wildlife. I hiked the trail at dusk which I would highly recommend. The setting sun casts beautiful lighting on the red rocks and the birds were very talkative as they made their way back to nests. It’s very easy to unwind from a stressful day here. The park closes at 9pm so there is no need to hurry along this trail. In conclusion, this easy trail makes for a peaceful stroll for individuals looking to relax or a family wanting an interactive activity for all ages.